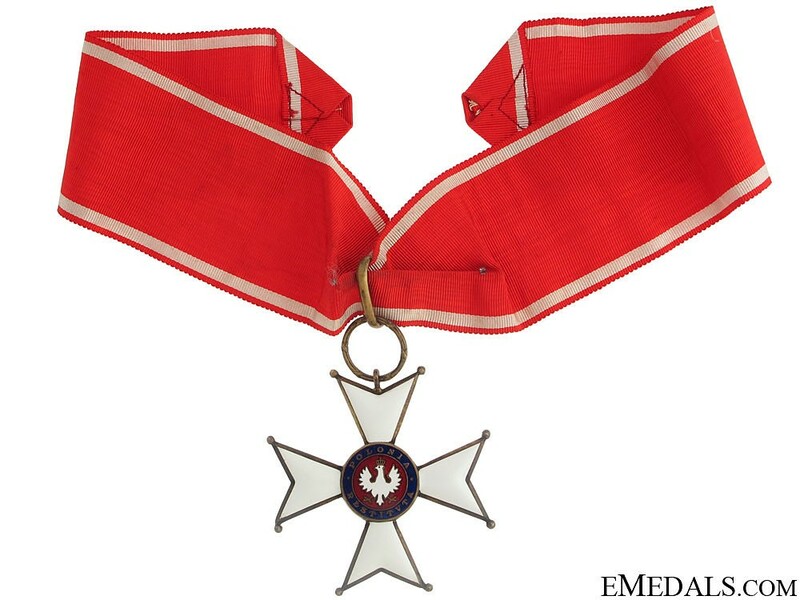 ORDER OF POLONIA RESTITUTA - Commanders neck badge in silver gilt and enamels mounted on a full length of original ribbon. 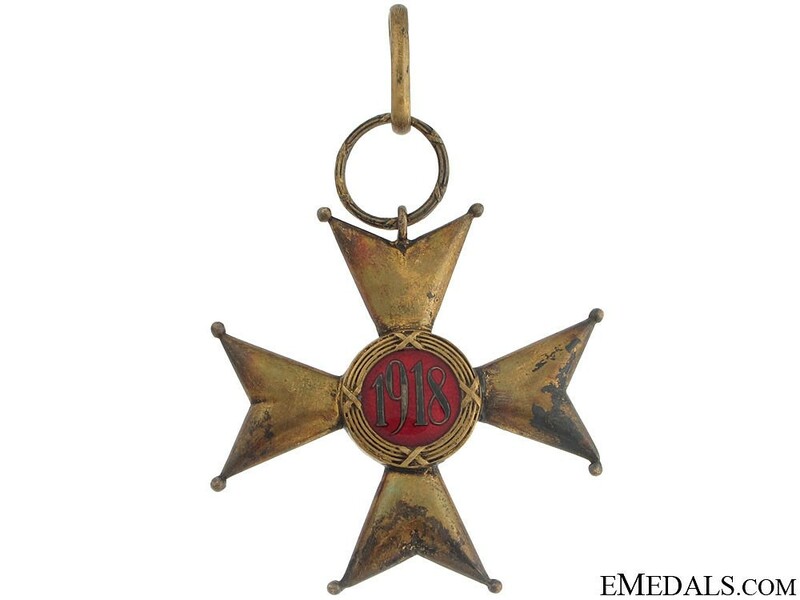 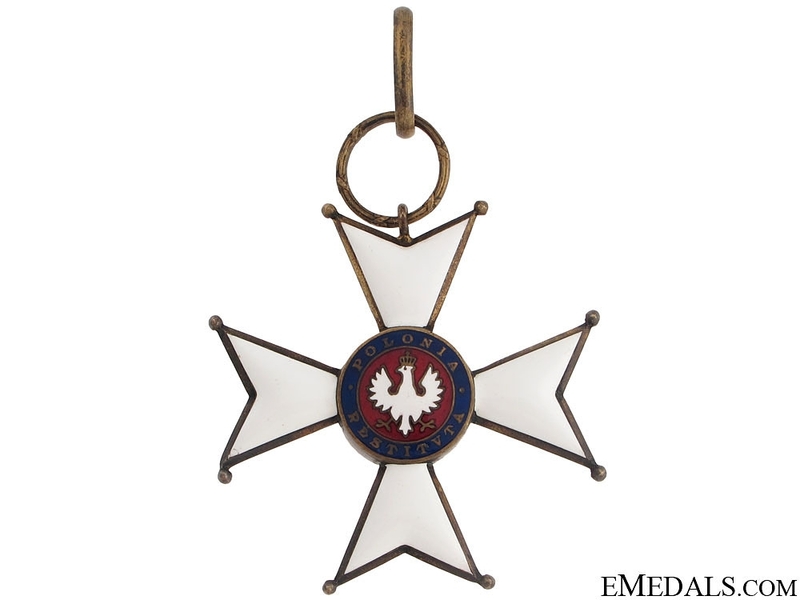 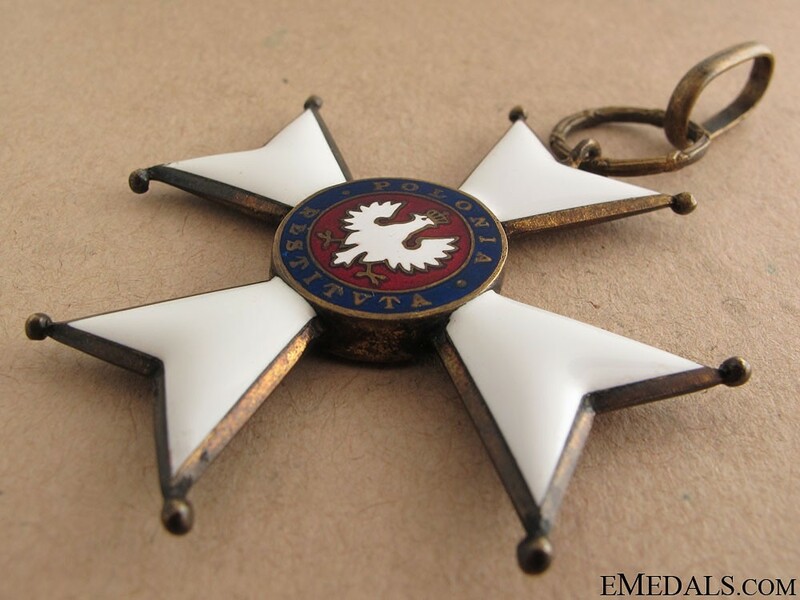 An early Polish made neck badge of good make, with fine quality enamels. 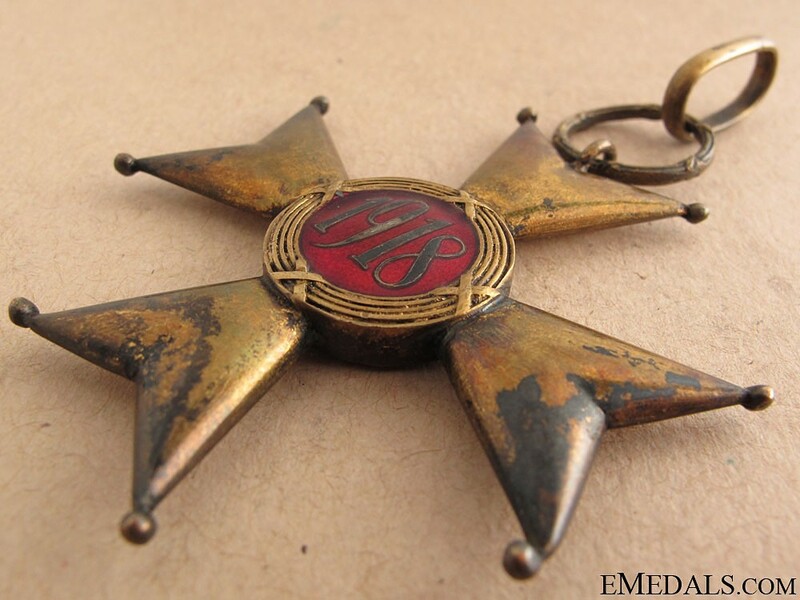 Points of the badge bent, due to wear, enamels without any chipping or cracks. 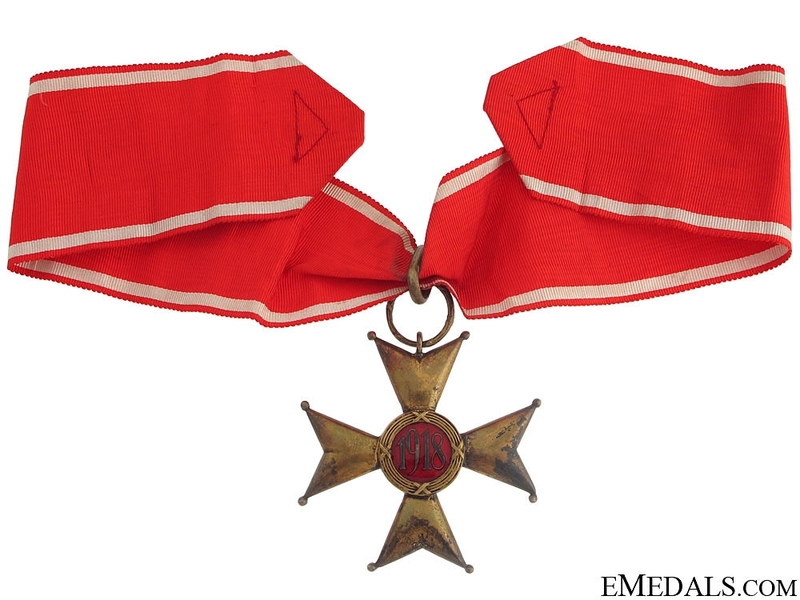 Toned, in nearly very fine condition.